In its 2015 World Energy Outlook, the International Energy Agency expressed its concern at fossil fuel subsidies, the dismantling of nuclear power stations and the 80% increase in demand for electricity by 2040. EURACTIV France reports. The International Energy Agency (IEA) has released its annual publication, in which it expresses its concern at the trend in hydrocarbon consumption, which continues to rise in response to the increasing demand for electricity. The planet’s electrical demand could grow by 40% by 2040, but despite falling oil prices, supplies of coal, oil and gas are not indefinite. The continued use of hydrocarbons is speeding up global warming: the IEA predicts that average temperatures will rise by 3.6°C if we do not reduce the current rate of greenhouse gas emissions. The strain on resources will also have a knock-on effect on energy prices. Europe’s plans to reduce its reliance on hydrocarbons may lead the continent’s energy prices to become the highest in the world by 2040, according to the IEA. Beyond the question of prices, the IEA lays out its predictions for the geopolitical evolution of the hydrocarbon sectors, expecting to see strong growth in oil and gas production in Sub-Saharan Africa. The IEA predicts that production of natural gas will increase worldwide, with the exception of Europe, where production is expected to fall. Political momentum on climate issues? Several governments have already committed to reducing CO2 emissions before the 2015 Paris Climate Conference, despite failing agree to limit the global temperature rise to +2°C. The IEA argues that a 25% decarbonisation of the energy sector by 2040 is the key to reaching the international climate objectives. “The joint commitment of the US and China represents a giant leap for mankind,” said IEA chief economist Fatih Birol at the presentation of the report in London. This decision is vitally important because between them, these two countries produce 45% of the world’s greenhouse gas emissions. He added that it would provide some “very badly needed political momentum” to the climate debate. 200 of the world’s 434 nuclear reactors currently in service are due to be decommissioned in the next 25 years. The Agency is concerned both about the cost of phasing out nuclear energy and the absence of technical solutions for dealing with radioactive waste. “We don’t yet have a permanent solution to high level nuclear waste,” Fatih Birol said. “There are some temporary solutions, but how we are going to dispose of high level nuclear waste is a key issue that remains to be addressed”. Europe is home to a large number of the reactors set to be decommissioned; a process the IEA estimates will cost around 100 billion dollars. The World Nuclear Industry Status Report showed a decline in active nuclear reactors since the Fukushima disaster. The number fell from 427 in July 2013 to 388 in July 2014. The IEA believes that the EU will be most affected by this decline, and that the question of how to deal with nuclear waste will be above all a European problem. In 2040, one quarter of the 705 tons of nuclear waste produced world-wide since 1971 will be stored in the EU. 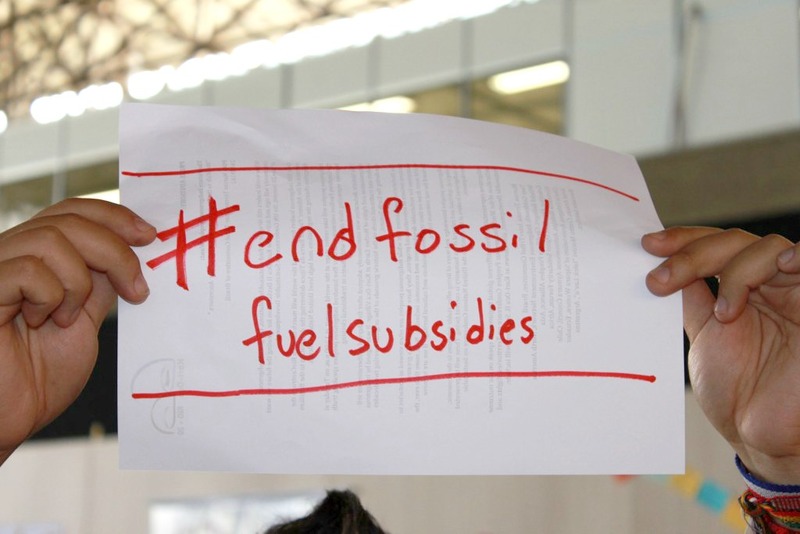 Each year, the world’s fossil fuels industries receive 550 billion dollars in subsidies; four times more than the renewable energies sectors. In the context of the fight against climate change, the IEA raises doubts over the prudence of these investments, and calls for greater investment in renewables. The Agency also says that the only way to keep the global temperature rise down to +2°C by 2040 is to invest at least an extra 300 billion dollars in renewables and 1,000 billion dollars in energy efficiency. Thomas Becker, the Chief Executive of the European Wind Energy Association, said "we have witnessed the full horror story of fossil fuel subsidies. The European Commission, the IEA and the ODI have all released documents showing the ballooning cost of supporting fossil fuels, which not only batter public finances but also make us reliant of some of the most unstable regions in the world." Jérôme Ferrier, President of the International Gas Union, said "the development of shale gas and unconventional gas are bringing about larger and larger difficulties in perception. The gas sector has to work harder to defend its cause and to make gas more widely acceptable to the public". The International Energy Agency publishes its long-term forecast for the global energy system each year. The IEA was created by the member states of the OECD in the wake of the 1970s oil crisis. For many years it has been warning of the risks of climate change. Just one quick question about our vehicles : what’s the point to develop electricity cars instead of gas cars ? I mean what’s the point to replace gas by uranium (and all the environment threat that goes along) ? Electric cars will soon be replaced by hydrogen, projections in America are citing $40 a bbl for oil if supply isn’t cut soon.